I've accomplished an extraordinary, albeit absurd feat, and—although I went through several duds over years of searching, I've finally compiled the perfect collection of comfortable, wearable boots. All year round, I'm covered with an ideal go-to for any traipse or adventure. Because I have high arches, comfort is paramount when choosing footwear, so this (completely unsponsored) post is based on wearability, quality, performance and all-around awesomeness. I take comfortable shoes seriously, friends. And I've found boots that will definitely withstand the tests of time. THE COLD MONTH EVERYDAYS- I wear boots all fall and winter long, so I always opt for a solid leather that will break in to my shape and withstand moderate exposure to snow/rain. These NAYA Sabre (they normally cost about $250 but you can snag them on sale for under $100 if you shop around---click the link above- I found them on super sale) have a luxe lining that breathes, so my feet/calves never feel stifled in there. They go well with skinny jeans, leggings and dresses and can be comfortably worn all day/night long. If it's lightly snowing, rainy or I'm feeling more casual, leather Merrell Tetra Launch Waterproof boots are one of my all-time favorite picks. 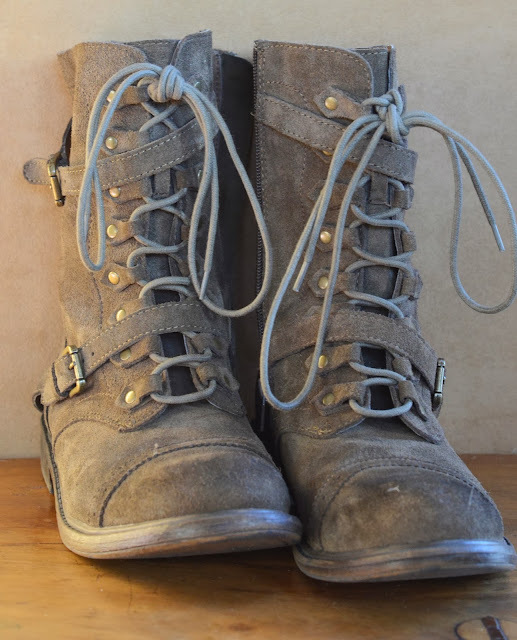 These are my main autumn boots, but I rock them in winter and spring as well. They're beyond comfy, great with jeans and dresses and I could easily run a mile in 'em. I snagged these at an outlet store, so know that you can score a boss deal on these bad boys if you shop wisely. 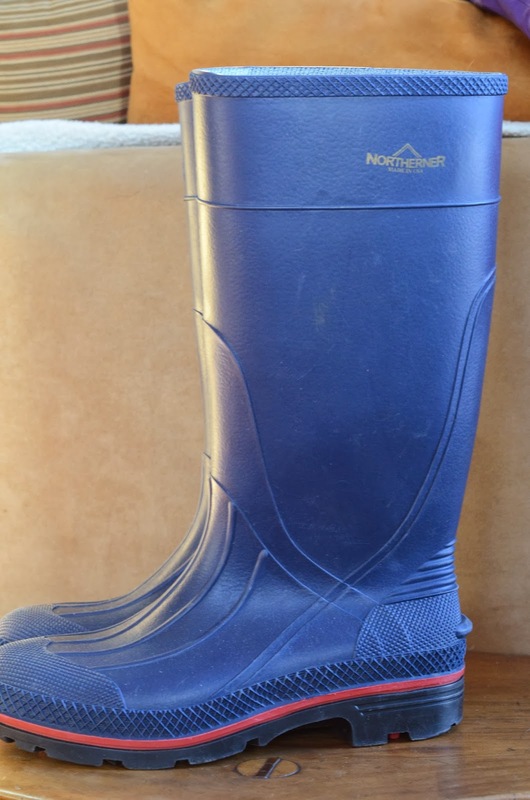 every member of our family has a pair of galoshes by the door. We use 'em. A lot. Our Northerner's (found some here but you can prob do even better!) have been stompin' for several years now. We've found Kamik boots are best for the kids. We're woodsy folk, so ankle support, waterproof leather and exceptional traction made us pick Timberland Euro Hikers (Timberland outlet store- find a deal). Yes—we really have girl/guy versions of the same boots What of it? You've probably owned a pair of these at some point in your life. They're timeless because they're the best. My cousin was just here rocking hers that she's had since the 90s! They're still waterproof, still comfy and still truckin'! Worth every penny and can be worn comfortably in any season and any weather. I tried galoshes in deep snow- too cold. Needed 4 pairs of socks for long adventures. I tried the Timberlands, but no-go in deep snow. I tried snowboard boots, but walked like an astronaut. These (Sorel Joan of Arctic boots) are the end-all-be-all in brutal winter boots. With fully waterproof leather/suede, outstanding traction and an unbelievably warm felt lining, these boots felt like my legs and feet were getting a snuggly hug while I tromped through 7-inches of snow in single digits for over an hour this weekend. Love them and am keeping them forever. These are the specials, not for rain or snowy weather. This was YEARS of searching, friends. Years! I found tobacco suede Zigi Tactical boots and NAYA Virtue booties on sale on Ideeli and both are comfortable to wear all day long. The leather on the Naya booties is incredibly soft and luxurious. They're perfect for Girls' Night Out, Date Night or everyday wear. They accent dresses, jeans, leggings and tights with comfort and edge. Love them! And until I wear holes in the soles, friends, I won't need to make another boot purchase for years! My bases are covered—boot ready for any occasion. What are your favorite comfortable boots? Get ready to kick it, ladies!